NEW ORLEANS, April 5, 2019 /PRNewswire/ -- On Saturday, April 6, The Historic New Orleans Collection —a museum, research center and publisher with two campuses in the French Quarter—will throw open the doors to a $38 million expansion of its museum facilities, offering a significant addition to New Orleans's cultural attractions. Located at 520 Royal St. and made possible in part through generous donations from the institution's supporters, the new campus will bring THNOC's total footprint in the historic district to around 100,000 square feet. 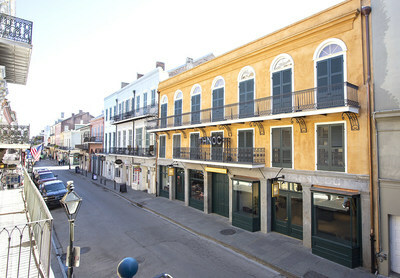 The Historic New Orleans Collection opens its new $38 million exhibition center located at 520 Royal Street in the French Quarter on April 6. The famous Seignouret-Brulatour Courtyard, now part of The Historic New Orleans Collection’s exhibition center, is complemented by the newly constructed Tricentennial Wing. 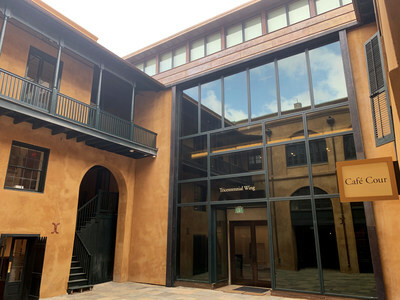 The new exhibition center comprises a meticulous restoration of a historic 19th-century building and courtyard, which is connected to a brand new, purpose-built rear building, totaling more than 36,000 square feet. This unique melding of old and new spaces is unlike anything else in the French Quarter. Founded in 1966, The Historic New Orleans Collection is a museum, research center and publisher dedicated to the study and preservation of the history and culture of New Orleans and the Gulf South region. For more information, visit www.hnoc.org, call (504) 523-4662, or follow THNOC on Facebook, Instagram, and Twitter.